"I am so saddened to hear the news about Chris. My thoughts and prayers are with you. Sending my sympathy to your family. " Christopher D. Chapman, 19, of Dubuque, Iowa passed away on Sunday, October 28, 2018. Funeral services will be 5:30 p.m., Friday, November 2 at the Church of the Nativity with Rev. Msgr. James Miller officiating. Burial will be in Mt. Olivet Cemetery. A visitation will be held from 11:00 a.m. to 5:15 p.m., Friday at the church. The Egelhof, Siegert & Casper Westview Funeral Home and Crematory, 2659 John F. Kennedy Road is assisting the family. Chris was born on September 15, 1999 in Dubuque, the beloved son of Ann (Sawvel) Butzier and Daniel Chapman. Chris was a loving son, tightly-bonded brother, and incredible friend with a tremendous heart. He was deeply loyal and highly protective of his family and friends. Chris could be described as incredibly handsome, strong, quiet, funny, insightful, fun-loving and mischievous. He was deeply admired and loved by all who had the joy of knowing him. Chris' personality and smile attracted many during his life. He shared an undeniable bond with his sister and brother, who enjoyed precious time together, countless memories, and many laughs. He also has a tremendously close and loyal core group of lifelong buddies. Chris was so fortunate to be surrounded by the very best of friends, sharing the same values as Chris and so many wonderful experiences over his lifetime. Chris's family feels so overwhelmingly blessed to have these friends and their families in their lives. They will all forever treasure his memory. Most called him Chris, but others knew him as CChap, Jet Ski, Chrissy, and Babar. Chris attended Kennedy Elementary School, Washington Middle School and graduated with high honors from Dubuque Senior High School. 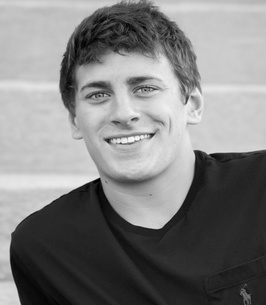 Following graduation, Chris continued his education at Drake University, majoring in Accounting and Business. He was extremely studious, always devoting the time needed to succeed. Chris was a member of the National Honor Society and an Academic Excellence award winner. He was also a Silver Chord recipient in recognition of his commitment to volunteerism and community service. Chris was clearly capable of accomplishing tremendous things with his brilliant mind and drive to succeed. Chris lived an active vibrant life, filled with many activities and passions. Whether academics or sports, Chris was driven to be the best, and his accomplishments were many. From Chris' early years, sports were always at the forefront. He participated in youth football, soccer, baseball, basketball, wrestling, swimming, hockey and track. Chris remained active in soccer, wrestling, football and track into his high school years. Soccer was a lifelong passion for Chris, playing for teams in Dubuque AYSO, Dubuque Soccer Club, FC United and Dubuque Senior High School. Chris also participated in football and wrestling for the Rams but his true passion at the high school level was track, and his accomplishments were numerous. As a senior, Chris was a meet record holder, 2nd team all MVC conference athlete, a relay record holder, a multi-medal winner at A.D. Dickinson Relays, Drake Relays and State Track, a Telegraph Herald Athlete of the Week and finished his track career with the 3rd highest single season point total in school history. Chris had numerous interests outside of organized athletics. His passions were endless. He enjoyed music, fishing, kayaking, snowboarding and running around in his Jeep with its top down. A day didn't go by without catching him doing some dance moves. Chris adored his beloved dogs Beau and Roxie. Those left to cherish his memory include his mother, Ann Butzier (friend Jeff), of Dubuque; father, Daniel (Dawn) Chapman, of Lone Tree, Colorado; sister, Sarah Chapman and twin brother, Ben Chapman, both of Dubuque; and other siblings including Taylor and Mitch Chapman and Alex and Nic Butzier; grandparents, Peg (Don) Thiltgen, of DeWitt, Iowa; great-grandmother, Katie Sawvel of Dubuque; Stevie Lambe who always has a special place in his heart and many cousins, aunts, uncles and friends. He was preceded in death by his step-father, Dr. Doug Butzier; grandparents, James Sawvel and Milt (Corrine) Chapman; uncle, Mike Chapman; and aunt, Deb Dodds. In lieu of flowers a Christopher Chapman Memorial Fund has been established. A special thank you to the faculty and staff at Drake University and the many families and friends who have supported Chris throughout his beautiful life. We would like to thank the teachers, coaches, teammates, friends and their families for the role that they played in his life. 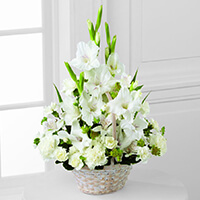 To send flowers to the family of Christopher D Chapman, please visit our Heartfelt Sympathies Store. During this time of great sorrow, may it comfort you to know that others are deeply touched by your loss. I too know the pain of losing someone dear. Even though our hearts are broken, rest assured that our Grand Creator cares about you personally (1 Peter 5:7) and can help you though this difficult time. Revelation 21:4 speaks of a time soon when God will do away with death forever. There will be no more sorrow, heartache, or pain. May your happy memories and sure scriptural hope comfort your hearts during this painful time. 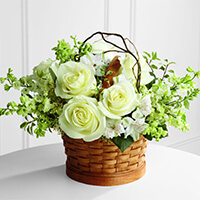 Dear Ann and Sarah and family We are so very sorry about the loss of your son and brother. We think of you often, and our prayers are with you all at this difficult time. May God heal and comfort you. My deepest sympathies are with you and your family . I cannot imagine the grief at your loss. Chris was a beautiful boy inside and out and his true spirit shined through in everything he set his heart on. Prayers for God to wrap you in his arms and give you peace. 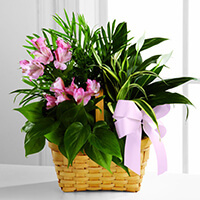 Ann and family, So sorry for your huge loss. You are in our thoughts and hearts. Our sincerest sympathies to Ann, Ben, Sara, Nic and Alex. Deepest condolences from the residents of the second floor of Stalnaker Hall. May God's peace sustain you and be a light in the darkness to you all. I wish there were words I could offer to ease your pain right now. I know there is nothing that can be said or done to fill the void in your lives left by the absence of Chris. May the peace that surpasses all understanding fill those voids and in some way ease your hurts during this time. God's peace to you Dan and the entire family now and in the days to come. My sincerest sympathies for the loss of your dear Christopher. From his picture and description, he is beautiful - inside and out. My son is a freshman at Drake and knew your son in passing. I remember Chris from the breakout session at Drake orientation. He introduced himself and said his mom was the person he most admired. I wish and pray for comfort and strength and whatever you and your family need to get through the days ahead. God bless.